Canary Backer and Pre-Order Update - May 31 | Canary Blog. It’s the unofficial start to summer, and we hope you’re getting some time to relax and regroup. At Canary HQ, we’ve traded in beach trips and picnics to work on computer vision, setup flows, and packaging. It may not be for everyone, but we love it. We’ve got our noses to the grindstone as we prep for our expanded Beta test. We’re adding employees to our world-class team on a weekly basis. With each new hire, we keep getting smarter and better. And we’re pleased to announce a huge step forward with our shiny new website. 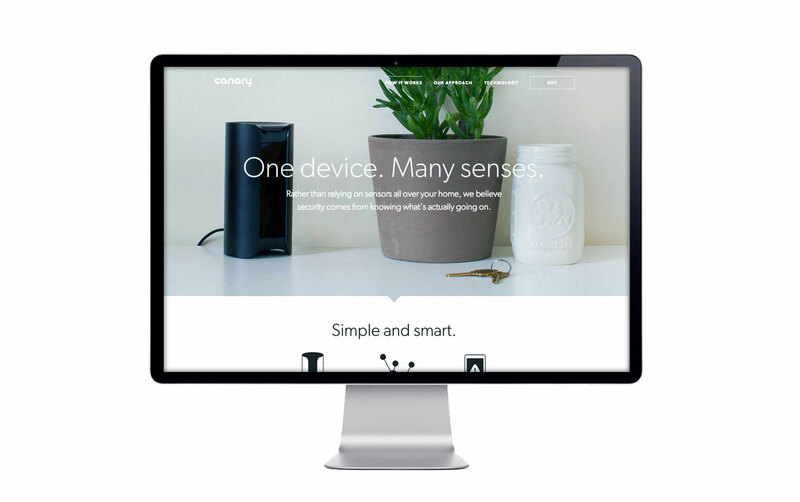 While our engineers have been hard at work on perfecting the device, our design and marketing teams have been busy building a new website! We’re really proud of the fresh design, clean navigation, and easy-to-use pre-order page, but there’s lots more to be excited about. Want to see all of our tech specs, learn about our approach to home security, or find out the full story behind Canary’s creation? It’s all there. The site is filled with new information along with an updated FAQ page to help answer your questions. Take a look and let us know what you think on Facebook or Twitter. A few weeks ago, Andrew, our Head of Marketing, did a Q&A on Facebook, answering all kinds of questions from backers and pre-order customers. It was a lot of fun being able to interact directly with friends of Canary, so it’s something we’ll continue over the next few months. Make sure you like Canary on Facebook to join the conversation.